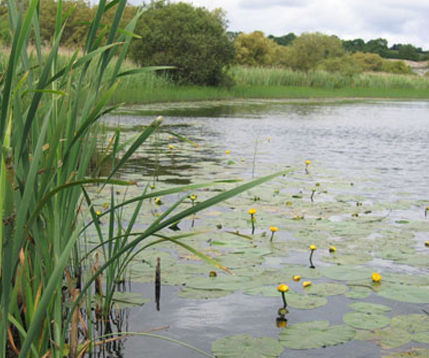 In 2006, BEC Consultants conducted a survey on a sample of wetland habitats in County Monaghan. The purpose of this project was to contribute to baseline information on the location, extent and distribution of wetland habitats in the county and to use these data to make recommendations on conservation policies and future research work that should be initiated. A sampling protocol was developed that allowed approximately 1% of the county’s wetlands to be surveyed and mapped in a systematic manner. The wetland areas within each survey area were categorised into habitat complexes. For each habitat complex a list of plant species was recorded and notes were made on current management practices. Incidental notes were also made on any fauna observed in the field. Digital maps of the habitat complexes were produced in ArcGIS using aerial photographs and vector maps as a base. From these digital maps it was possible to calculate the area of each habitat type. The results were extrapolated to give an approximate coverage of wetland habitats within Co. Monaghan and, by comparing the aerial photographs with the habitat maps, it was also ascertained how much wetland habitat had been lost within the six years prior to the survey. Each of the habitat complexes were assessed using a combination of the Ratcliffe Criteria and the National Roads Authority Site Evaluation Scheme. Subsequently, any sites that were considered suitable for recommendation as Natural Heritage Areas were highlighted. Two additional wetland areas recommended for survey by the Monaghan Heritage Forum were also surveyed and assessed with a view to recommending these for designation. The survey results informed the preparation of a Biodiversity Action Plan for the county. BEC Consultants delivered a presentation to the County Monaghan Heritage Forum in relation to the findings and recommendations from the project and presented a paper on the project at the Wise Use of Wetlands Conference, Ballybay, Co. Monaghan.